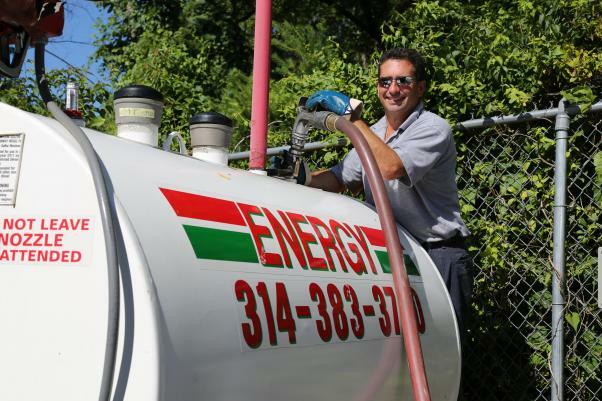 Energy Petroleum Company has been providing the highest quality fuels and lubricants available in the marketplace since 1927 in and around St. Louis, MO. As one of the largest wholesale petroleum distributors in the region, Energy Petroleum provides fuels, lubricants, transportation and other related services to thousands of commercial and industrial enterprises, school districts, government agencies, railroad transportation companies, drilling, energy, utilities, agricultural concerns, sports complexes, hotels and so many others who are responsible for keeping the Midwest running. Energy Petroleum has a modern delivery fleet totaling nearly 25 units, including transport trucks, tankwagons, bulk and box truck lubricant units. We also have about 30 DOT approved Hazmat certified employee drivers. Our dispatch center operates around the clock every day of the year to ensure Energy Petroleum’s customers receive the products they order, on time, every time. Energy Petroleum has several above ground skid and overhead fuel and lubricant tanks, ranging in size from 275 to 5,000 gallons, available through our extensive tank loan program. We also offer tank monitoring for more efficient ordering and inventory control. At Energy Petroleum, we know petroleum products, transportation and related services are a significant component in keeping our customer’s operations up and running. We have the human and physical resources necessary for providing superior service. Our state of the art back office system and team of professionals in our customer service department are just two of the many other advantages for partnering with Energy Petroleum.